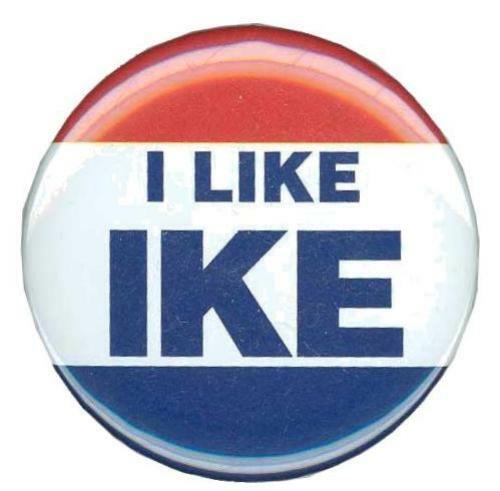 Reproduction "I Like Ike" campaign button has production date on back. 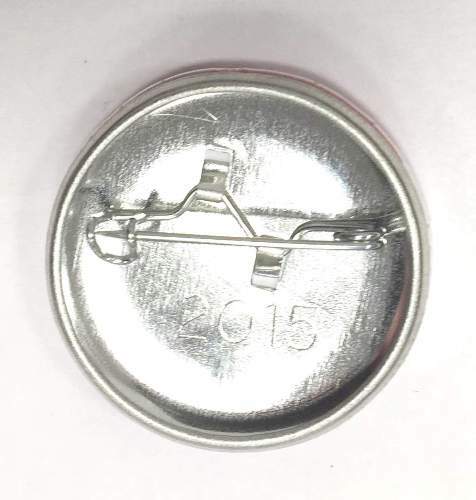 2-1/4” diameter. 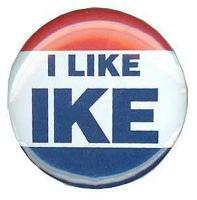 Your purchase supports the education and exhibit programs of the Dwight D. Eisenhower Presidential Library and Museum.